Winning the Champions League (formerly known as the European Cup) is a difficult task that only a few clubs have managed to do. Since its start back in 1955, only 22 teams have won Europe’s premier club tournament with Real Madrid leading the way with ten wins. Some of Europe’s biggest clubs have lifted the prized trophy including Barcelona, Liverpool, Bayern Munich, AC Milan and Manchester United. But there have been a few surprises winners along the way including Aston Villa in 1982, Red Star Belgrade in 1991 and Romanian side Steaua Bucharest in 1986. Steaua’s win in particular was surprising given that they were rank outsiders going into the final against Barcelona. Against all the odds, Steaua managed to hold off a strong Barcelona side and take the game to penalties where they won thanks in part to a stunning performance by Helmuth Duckadam in-goal. The win marked the first time a side from eastern Europe had claimed a major European trophy and put the club firmly on the map. 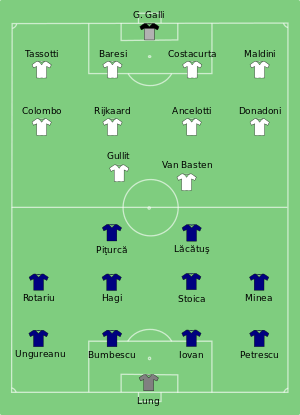 Three years later, Steaua reached their second European Cup final this time with a much stronger side that included Romanian legend Gheorghe Hagi. 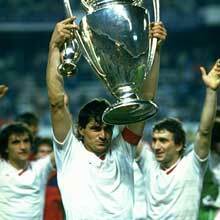 Up against Arrigo Sacchi’s all star AC Milan side, Steaua were once again outsiders to lift the trophy. But with the memories of 1986 fresh in their minds and the nucleus of that team still playing alongside some new talented youngsters, Steaua approached the game with belief and hope. This time however their opponents proved too strong with AC eventually running out 4-0 winners thanks to braces from Marco Van Basten and Ruud Guillit. The defeat was hard to take and proved to be a decisive moment in the clubs history. Soon after the defeat, the clubs star players would leave for other European based clubs as financial difficulties gripped Steaua. What followed was a period of turmoil where qualifying for European competitions just wasn’t possible. Despite dominating the Romanian League, the ever-widening gap between the far richer sides in Western Europe and the poorer teams in the Eastern block meant that Steaua’s chances of reaching another final became a distant dream. Today Steaua are back on firmer ground and are regularly in the picture for qualification to the Champions League group stages but few believe that they will ever be able to replicate the success that the late 80’s brought them. We now take a look back at that side and see where they are now. At 6ft 4, Lung was a formidable goalkeeper with surprisingly good reflects to match his rather larger frame. Lung played a key role in reaching the final with key saves against Spartak Moscow in the second round and again in the semi final against Galatasaray. Lung like many of the others in the squad played their entire career in Romania despite offers to move abroad and represented his country on 77 occasions including at Euro 1984 and the 1990 World Cup. Now retired, Lung spends most of his time checking in on his two goalkeeper sons who play in the Romanian league just like their father did. Petrescu, like Hagi is one of the more famous names in Romanian football. After playing 95 times for Steaua over a six-year period, Petrescu moved to Italy first with Foggia then later with Genoa. But it was his performances at the 1994 World Cup in the US that spring boarded his career and earned him a move to England first with Sheffield Wednesday then later with Chelsea, Bradford and Southampton before he returned to Romania for one final season. After retiring, Petrescu became a manager and has remained one since becoming somewhat of a journeyman manager with ten clubs under his belt in as many years. 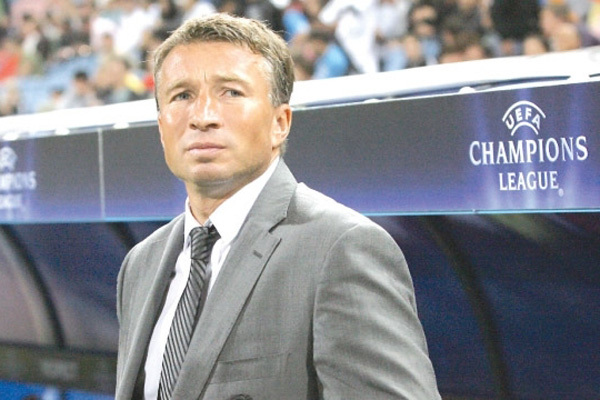 Most recently Petrescu has been managing Jiangsu Sainty in the Chinese Super League. Another player who stayed in Romania his entire career, Nicolae was an effective yet somewhat limited full back. He played 57 times for Romania scoring only once before retiring in 1993 to become a coach. In 2009, Ungureanu he took up a role as Technical director at his former club, Universitatea Craiova. The stand in captain of the 1986 winning side, Iovan is held in high regard at Steaua. With the fifth most appearances for the club of all time, Iovan had a distinguished career with the club operating either at right back (as in the 1986 final) or at his more natural position of centre back. Apart from a six game spell at Brighton in England, Iovan remained in Romania for his entire career before retiring in 1997. Since then he has had various roles with the national team including assistant manager and interim manager on several occasions. Currently he is assistant manager at FC Viitorul Constanta working with the clubs owner and manager, Gheorghe Hagi. Another player who featured in the 1986 winning side, Bumbescu was a constant for Steaua over an eight year stay between 1984 and 1992. Despite this, he never found favour with the National team managers who only used him sporadically, capping him only 15 times. Since retiring he is now looking after Steaua’s second string team. Having missed the 1986 final due to suspension, Stoica’s appearance against AC Milan would be his last ending a 14 year stay at the club. The long serving captain left Steaua shortly after the game and moved to France with FC Lens playing only 17 times before returning for one final appearance for Steaua before retiring. Steaua’s all time record holder for appearances (369 in total), Stocia like Bumbescu was surprisingly overlooked too often by the national team resulting in the influential midfielder only picking up 15 caps. He has stayed with the game in a scouting capacity for several clubs but relations with Steaua have broken down in recent years after Stoica claimed the club had lost its identity. Romania’s most famous football son, there wasn’t anything that Hagi couldn’t do with a ball. With 124 caps and 35 goals to his name, Romanian’s call him the King and rightly so. Gifted isn’t the word for the little magician who delighted the crowds wherever he played during a successful playing career. One of the few players to leave Romania and achieve greater things, Hagi put the disappointment of losing the final to one side and moved to Spain with Real Madrid, then later to Italy with Brescia before a return to Spain with Barcelona. But it was his final move to Galatasaray in Turkey where Hagi found peace and played some of his best football. During a five-year stay, Hagi appeared to get better season after season despite his advancing years. After retiring, Hagi has managed at several clubs but has never really found a way to replicate his style of play onto others. Now founder, owner and manager of FC Viitorul Constanta, a team he established in 2009. Normally a defensive midfielder, Minea operated on the right side of midfield against AC Milan and told to pull inside to allow Hagi to push forward. The plan didn’t quite work with Petrescu left exposed to the runs of Roberto Donadoni. Minea would play for Steaua over 100 times during two spells before finishing his career in Belgium. Unlike many others in this team, Minea has walked away from football and is enjoying the quiet life. The only player in the Steaua team to be substituted during the final (he was replaced by Gavril Balint), Rotariu was an effective yet uncomplicated winger. Capped 25 times by Romania, Rotariu represented his country at the 1990 World Cup which in turn earned him a move to Galatasaray. Remarkably he played until he was 51, retiring only in 2013 albeit in the Romanian lower leagues mostly for Politehnica Timisoara who he also managed. With 357 appearances and 98 goals to his name, Lacatus is a legend at Steaua and in Romania. The deep-lying striker nicknamed “The Beast” played in both the ’86 and ’89 final, playing a more significant role in the latter scoring 7 goals along the way. Lacatus led the line for Romania in several competitions including the 1990 and 1998 World Cups and the 1996 European Championships. After retiring, Lacatus has become an effective manager, taking charge of Steaua on three occasions in between managing other clubs across Romania. Like many others, Piturca was part of the 1986 winning team scoring twice in the second leg of the semi final against Anderlecht, goals which ultimately sent Steaua through to the final in Seville. The emergence of Ille Dumitrescu limited Piturca’s playing time on route to the 1989 final but regained his place when Dumitrescu was suspended for collecting too many yellow cards. He was unable to find his goal scoring touch in that game and left the club shortly afterwards to join Racing Club de Lens. Since retiring, Pirurca has remained a dominate figure in Romania managing Steaua on four occasions and the Romanian national team three times. Until this summer, he was managing Ittihad FC in Saudi Arabia. Few players can claim legendary status with Steaua but Iordanescu is one of them. Joining the club as a 12-year-old, Iordanescu spent the majority of his career at the club, only leaving once for a brief two-year stay in Greece with OFI Crete. Racking up a total of 318 appearances including his last appearance for the club as a substitute in the 1986 final, he is third in the pecking order for most appearances behind Stocia and Lacatus. However his exploits in front of goal for the club have him leading their all time goalscorers table with 155 goals. 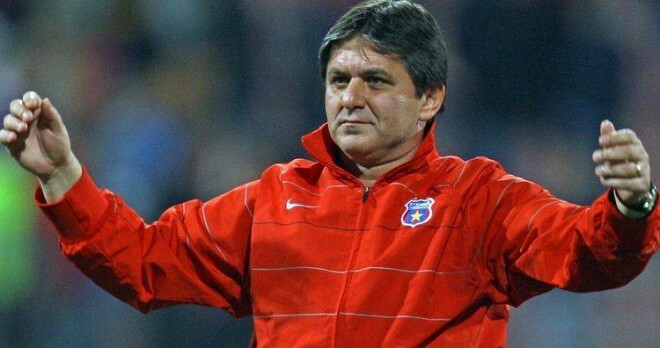 After retiring, Iordanescu has managed various club sides across Europe and the Middle East including two stints in charge of Steaua and is now in his third spell managing the Romanian national team. He is now planning for next years European Championship in France after guiding Romania through qualification.